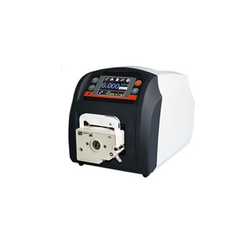 Prominent & Leading Manufacturer from Chennai, we offer basic peristaltic pump, peristaltic pump, peristaltic pump(bt100l), variable speed peristaltic pump, micrometer speed variable peristaltic pump and industrial peristaltic pump. We have excelled in the business of manufacturing, exporting, and supplying Peristaltic Pumps. The Peristaltic Pumps are specially designed for scientific applications where precision and versatility go hand in hand. 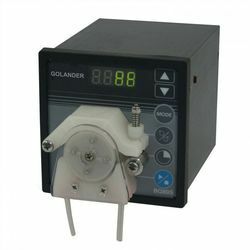 Our Peristaltic Pumps possess some advanced features and can be operated in both directions namely for dispense or suction, at rotor speeds of up to 340 rpm. Made using the best quality raw materials, these Peristaltic Pumps have a sturdy structure thus, are very reliable and durable at the same time. 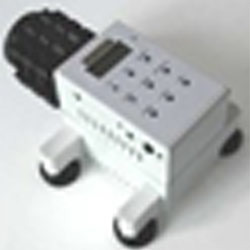 Moreover, the clients can avail these quality-tested Peristaltic Pumps at market leading prices from us. 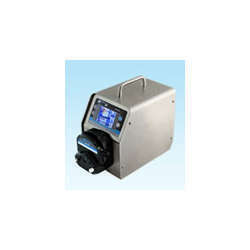 We are a prominent firm engaged in distributing and exporting Lead Fluid Variable Speed Peristaltic Pump. Our vendors manufacture these products using high grade raw material and advanced technologies so as to provide our clients with best-in-class products. These are widely acclaimed in the market for their dimensional accuracy, reliable performance, low maintenance and durability. 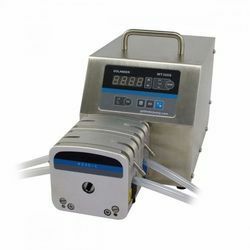 With firm commitment to quality we offer our clients Lead FluidMicrometeor Speed Vairable Peristaltic Pump. Procured from authentic vendors, these are manufactured using high grade raw material at our vendors end. Clients can avail these from us as per their requirements. Start and stop outside the control and direction input. 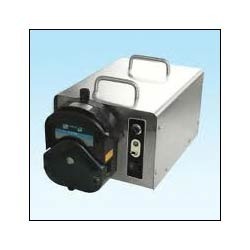 We are engaged in offering superior quality Lead Fluid Industrial Peristaltic Pump. These are manufactured under the strict supervision of our vendors experts who ensure their high standards. Further, we test these products on various parameters to ensure their compliance with international quality standards. With the help of the dexterous professionals of our vendors we have introduced Lead Fluid Dispensing Intelligent Peristaltic Pump. These are manufactured using advance machines and equipment following the set industry standards and quality norms at our vendors end. We accept bulk orders of our clients due the support of our efficient vendors and ensure their delivery within the stipulated time-frame for our clients maximum satisfaction.